Don’t Call it Sharadin Gallery Anymore. Sharadin Gallery will soon have a new name, The Marlin and Regina Miller Gallery. I once proposed that after “Gallery” the words “of Art and Design” be added, to be more inclusive of design. Oddly enough, that modest proposal was met with fierce resistance from some faculty. The 2011 KU Faculty Exhibition includes works of art and design by my colleagues in Communication Design, Art Education & Crafts, and Fine Arts. I have three works in the show. 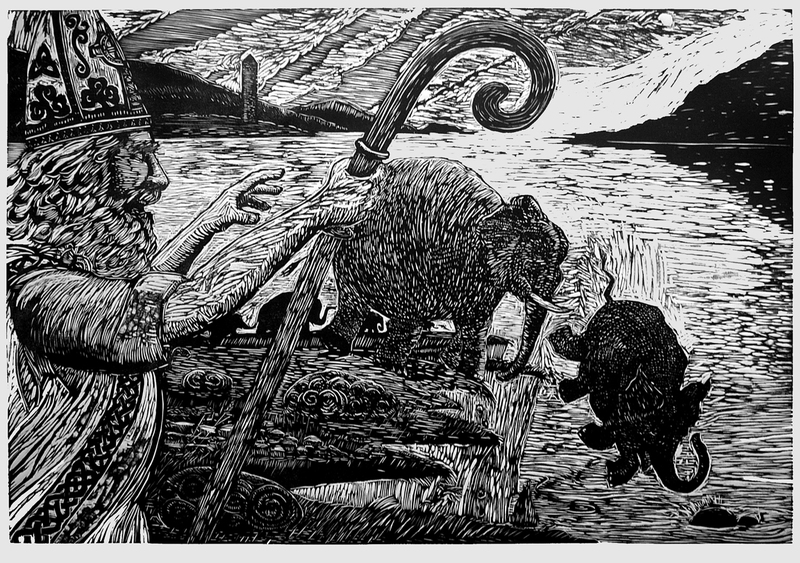 You can see my large woodblock print of St. Patrick, carved in St. Louis at Evil Prints, and printed in KU’s printmaking studio. Prof. Elaine Cunfer will also be exhibiting a print done on KU’s etching presses this year. Special thanks to Prof. Evan Summer for graciously permitting us to use that studio space. You may be aware Prof. Summer was awarded KU’s 2011 Arthur and Isabel Weisenberger Faculty Excellence Award. 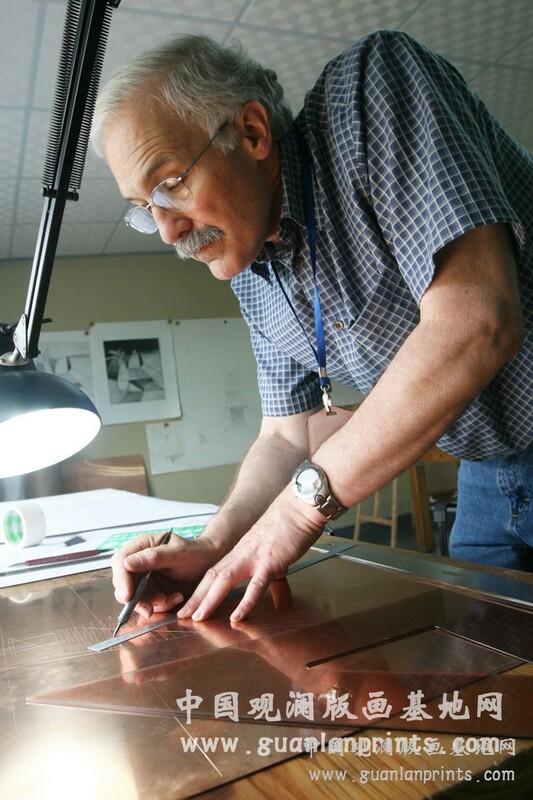 His printmaking class has always been a popular art elective for aspiring illustrators. He deserves the honor and we are looking forward to seeing his new etchings. The (former) Sharadin Art Gallery will officially be dedicated and renamed The Marlin and Regina Miller Gallery in honor of the donors who contributed to the Sharadin Arts Building renovation. The public is invited to the Miller Gallery’s opening reception and dedication ceremony on Thursday, September 8, 4-6 P.M. Light refreshments will be served. Hope to see you there. Kevin, well they did drop “Art” from the name so maybe designers won’t feel so bad. Miles, come to think of it, you are right. I hope there will be refreshments, that is guess on my part.